A personal loan can create a buffer between what you need to pay for, and what you can afford right now. This makes personal loans are a great way to cover large costs now and pay back what you owe over time. When you apply for a personal loan you ask a lender for a set amount of money that can then be used for just about anything. Whether you need to buy a car or consolidate debt, a personal loan can help. Most personal loans are unsecured installment loans. This means you won’t put up any collateral and will pay the loan back in fixed monthly payments. Compared to credit cards, personal loans typically have a lower interest rate. As a result, loans can save you money since you’ll pay less in interest over time. The internet has created new options for getting a loan. Instead of going to a bank and meeting with a loan officer, you can see potential rates and terms online. You don’t even need to apply with a bank and can choose a peer-to-peer lender instead. No matter where you ultimately get your loan, here are a few tips. The exact criteria used to evaluate your loan application will depend on your lender. Here are a few common ways lenders measure creditworthiness. 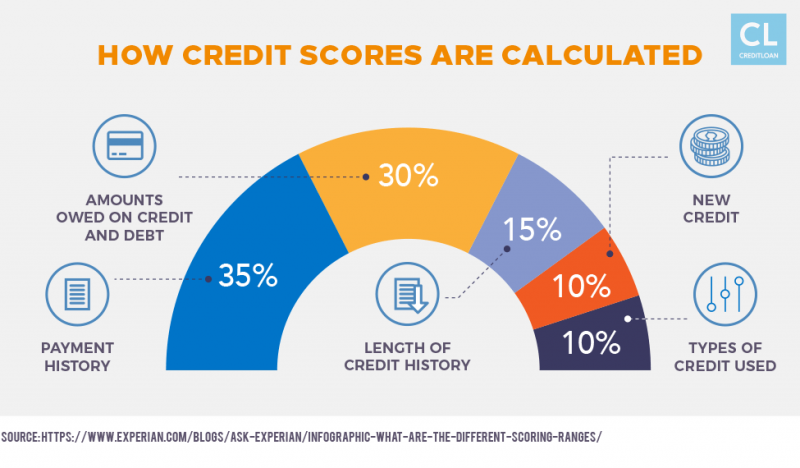 Credit scores range from 300-850 and the higher the score, the better your credit rating. People with good credit scores are typically offered lower rates. For instance, a lender might offer a loan with an APR of 5.29% to someone with a credit score of 620. But someone with a credit score around 760 might be able to get a rate of 3.70% on the exact same loan. If you have a low credit score, you may want to consider taking out a secured loan or applying with a cosigner. Other ideas and resources can be found in this bad credit loan article. The process is fast, secure, and there is no charge to find a lender. All credit types are welcome and the funds could be deposited directly into your bank account as soon as tomorrow. Lenders want to be repaid and may ask for proof of income, like recent tax documents. To evaluate how much debt you have, your lender might look at your debt-to-income ratio or your credit utilization ratio. Here is how to calculate each. Take the sum of your total monthly debts and divide it by your pre-tax monthly income. Then multiply by 100 to get your percentage. Ideally, you want your debt-to-income ratio to be 36% or less. Divide your current credit balance by your available credit limit and multiply by 100. Your credit utilization ratio should ideally be below 30%–40%. You can apply for a loan through your bank or credit union, but before you do, make sure it is the best option. There are online lenders, like Best Egg and Lending Club, but unless you have a high credit score, it is unlikely you’ll be approved. Narrow down where to look based on your credit score, and use websites that let you compare multiple options at once to determine which lender will offer you the best rates. This will help you find the best deal for your situation. Keep in mind that credit inquiries can hurt your credit score, especially if there are many in a short timeframe. When you are evaluating options, be sure that the applications are using a "soft pull", which doesn't affect your credit score. Most lenders will do a “hard pull” when you apply. Carefully look over all documents associated with your loan to ensure you understand the terms, and there aren't any extra charges or fees. Find the lender that can offer you the lowest rates and payment terms that will work for your personal situation. Look for payment terms that don't charge a prepayment penalty. Particularly if you think that paying off your loan early might be a possibility for you. Ready to Get a Personal Loan? Avoid paperwork and find a lender. Start now, the process is quick and easy. To date, we've helped more than 2 million consumers get the funds they needed when they needed them. And we can help you get the money you need too. In fact, you could have the funds deposited into your account in as little as 24 hours—and CreditLoan charges absolutely no fees for providing you with this service.